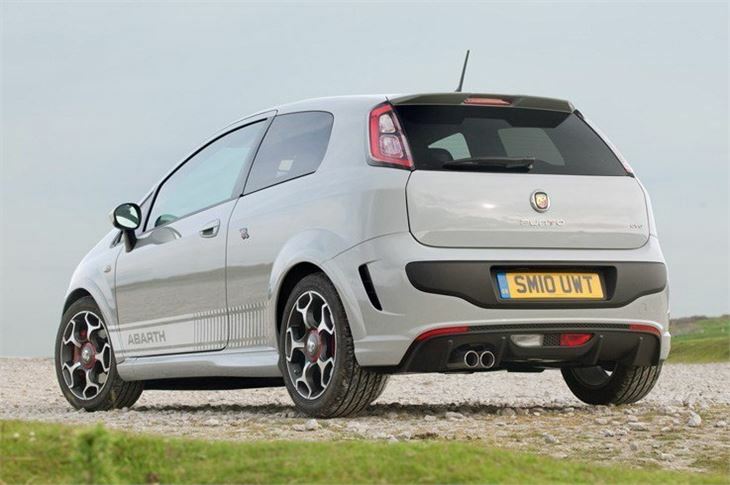 Great performance from 165PS 1.4-litre MultiAir engine, manages to put its power down well, sharp in corners, ride is fairly forgiving for a hot hatch, comfortable cabin. 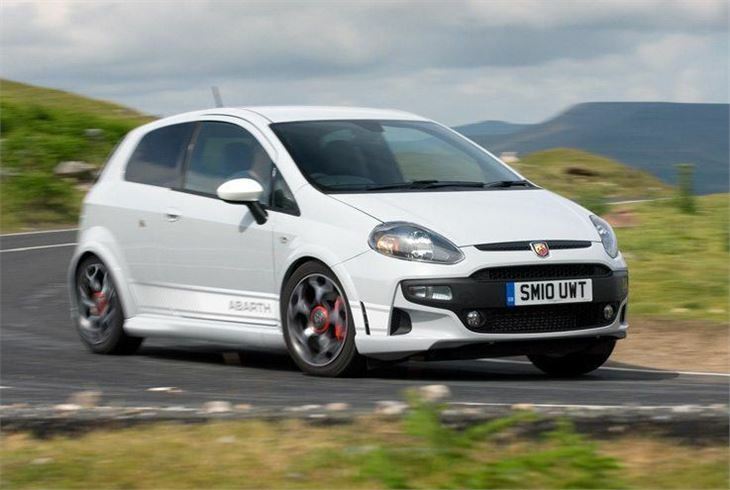 Small number of Abarth dealers in the UK, esseesse kit boost power to 180PS but costs an extra £3000. 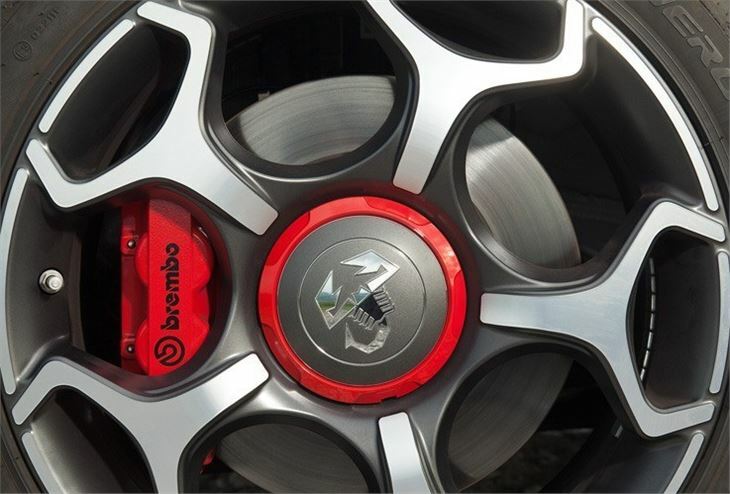 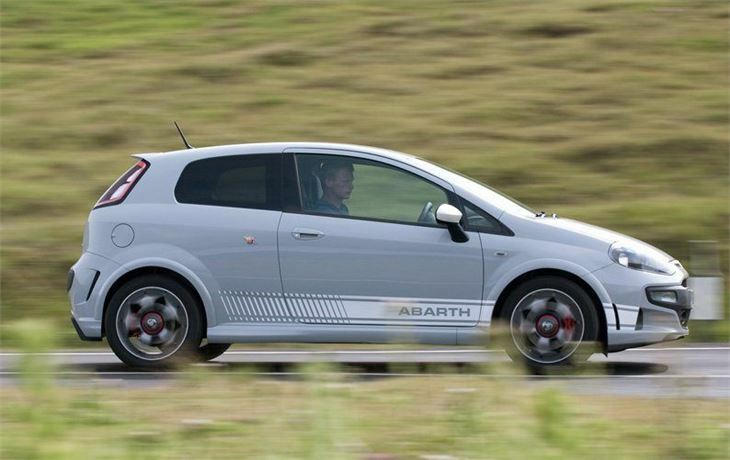 When the Abarth brand launched in the UK in 2008 it was the Abarth Grande Punto that was the spearhead. 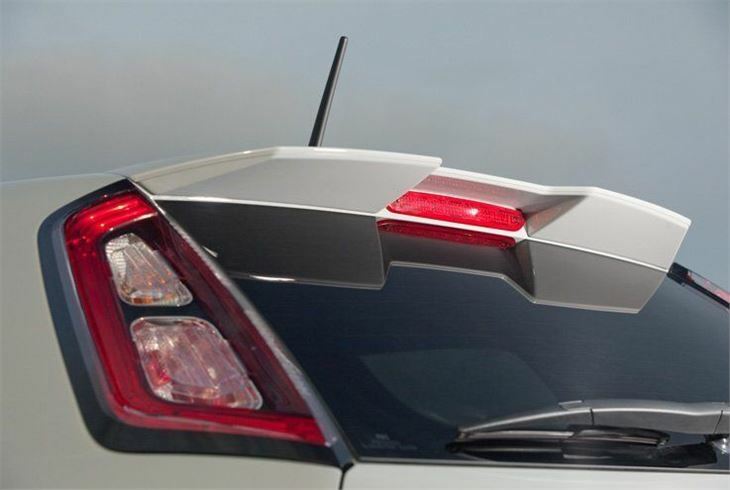 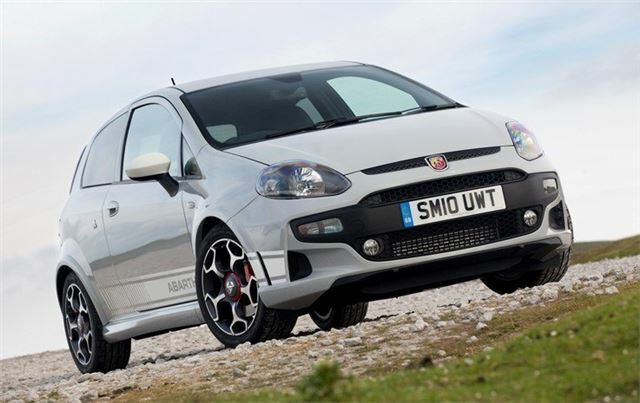 Now the Fiat Grande Punto has been replaced by the Punto Evo - a revised version of the same car - and in turn the Abarth model has also been replaced. 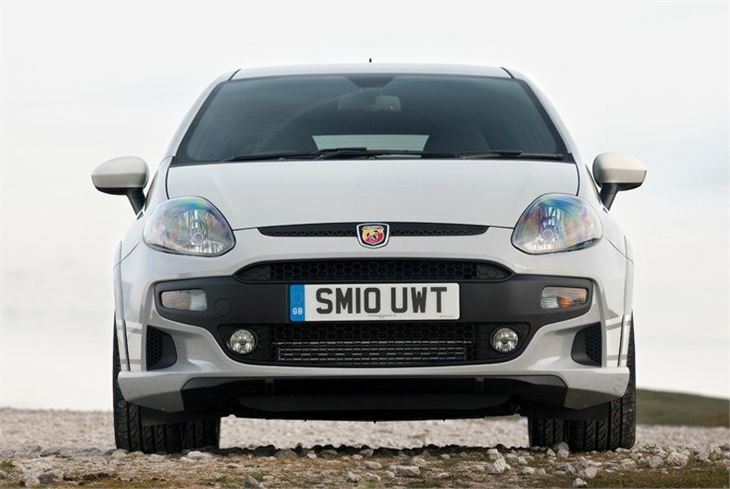 The most obvious change from the outside is the new nose, inspired by the styling of the Fiat 500. 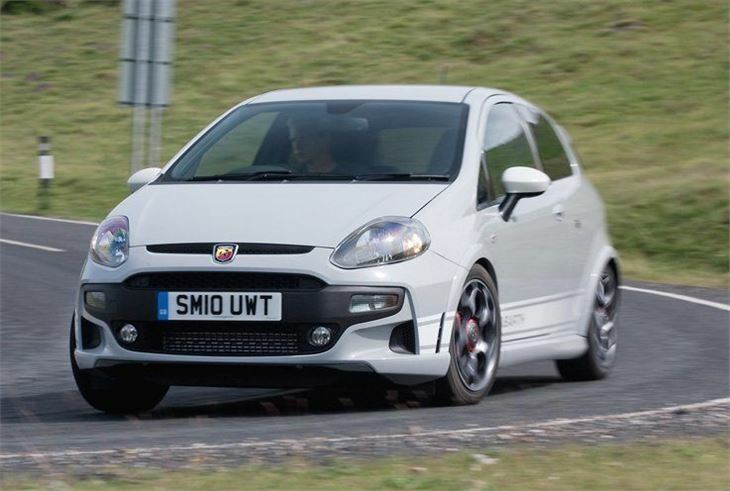 It's had a mixed response on the Fiat Punto Evo, but on the Abarth version it seems to work much better, blending in well with the more aggressive bumper. 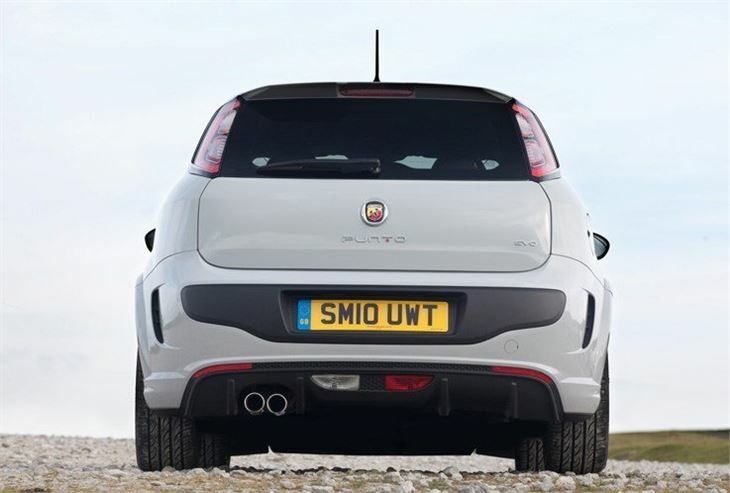 It's certainly a great looking hot hatchback with plenty of performance appeal, including 17-inch alloy wheels, a chunky rear spoiler and a lower ride height thanks to sports suspension. 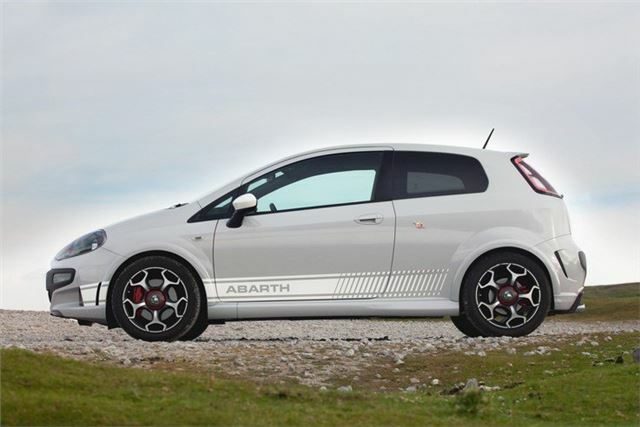 Of course, it's under the bonnet where it counts and here the Abarth Punto Evo doesn't disappoint. The 1.4 T-Jet engine from the Abarth Grande Punto has been replaced by a powerful version of Fiat's new 1.4 MultiAir engine. 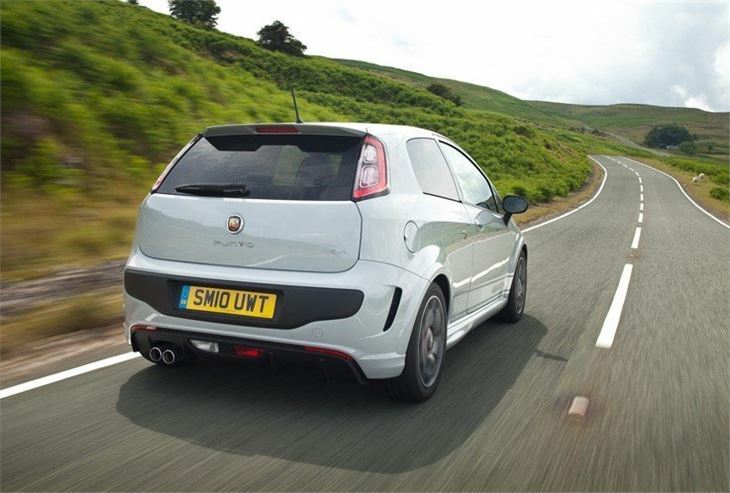 A power output of 165PS gives the Abarth Punto Evo a 0-62mph time of 7.9 seconds - slightly quicker than the model it replaces, yet it's still capable of averaging 47.1mpg, helped by an engine start-stop system. 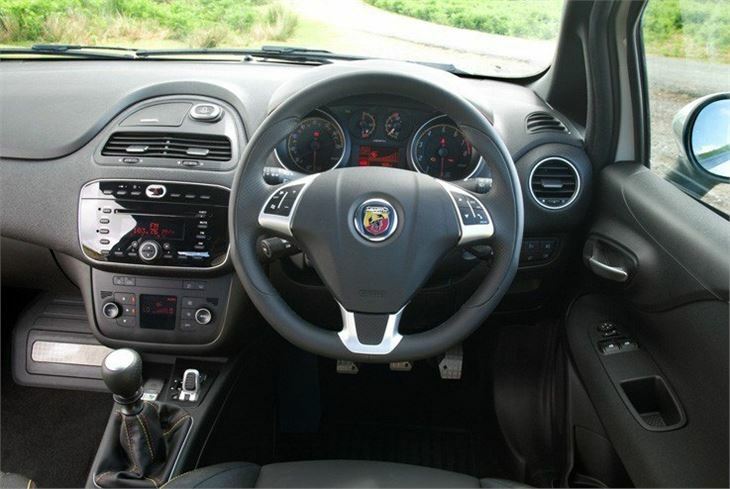 The handling is impressive too with keen steering and good body control. 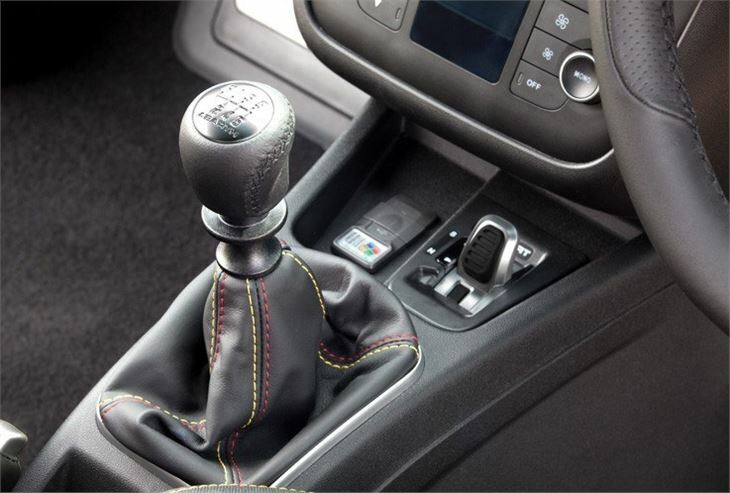 It's sharp when turning in, helped by a new system called TTC (or Torque Transfer Control) which mimics an electronic differential and means it's very nimble through corners. 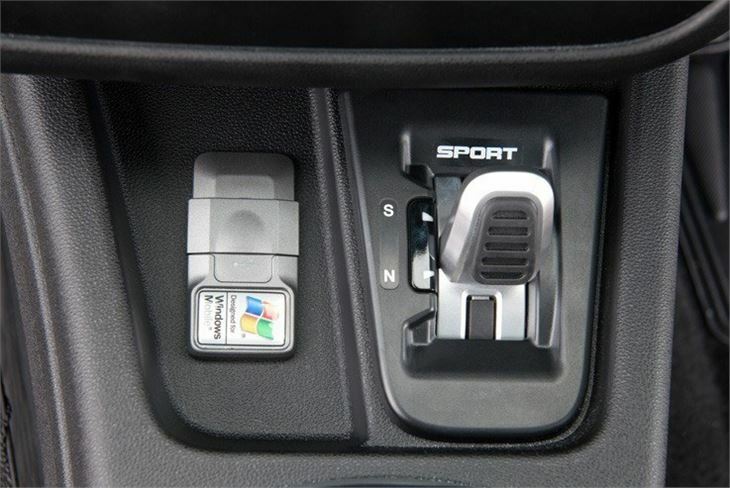 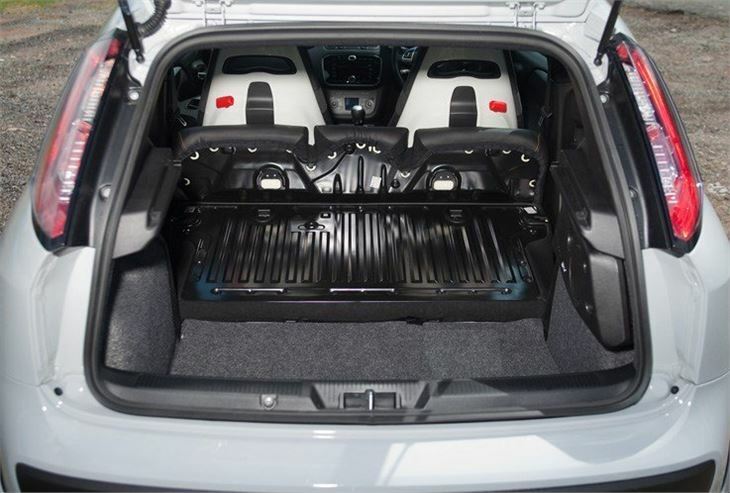 Inside there's a good quality cabin with some neat sporty touches and a much sleeker appearance than its predecessor. 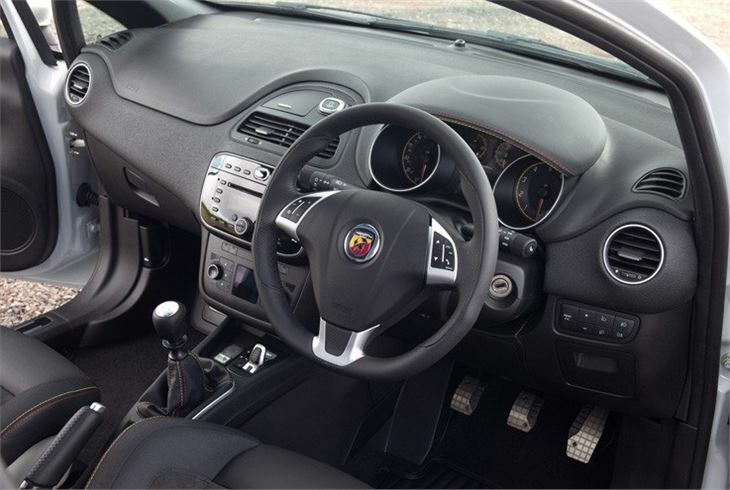 The Abarth Punto Evo also comes well equipped as standard with plenty of kit including seven airbags, cruise control, Bluetooth and air conditioning. 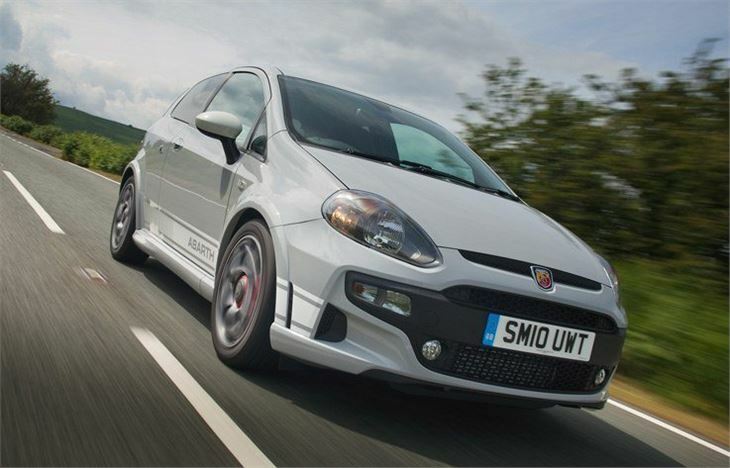 For even more power there's an esseesse upgrade pack available which boosts power to 180PS.